Posted On Fri, 07 Dec 2007 00:01:00 +0000. Filed in HealthVault. By Vaibhav Bhandari. The most common supported development platform for health vault is VS-2005 on Windows XP or Vista. 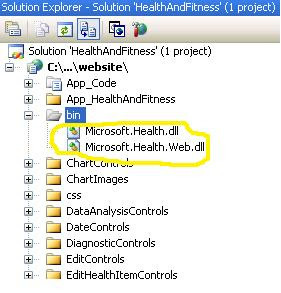 In you project you will need to include the following dlls Microsoft.Health.dll and Microsoft.Health.Web.dll.